Durability and functionality define this beautiful sink, which presents itself cleanly and simply upon the vanity. 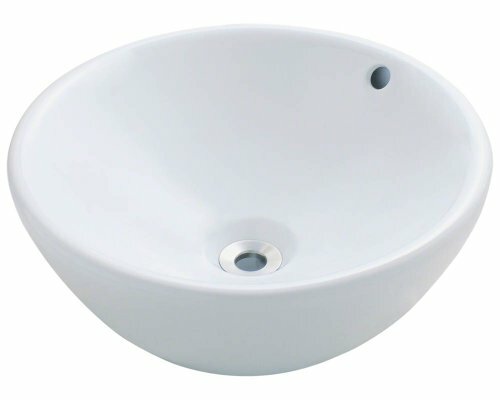 As one of the smaller, circular vessel sinks in the porcelain line, it may be the perfect fit in a small bath and comes complete with an overflow. The additional vitreous china coating on this model creates an even more impervious and sanitary surface than standard porcelain. With an overall measurement of 16 1/8" x 16 1/8" x 6 3/4", it will require a minimum-width cabinet of 18". This listing does not include any accessories. View More In Bathroom Sinks. If you have any questions about this product by MR Direct, contact us by completing and submitting the form below. If you are looking for a specif part number, please include it with your message.